Oklahoma down payment assistance programs are federal or state-backed programs aimed at enabling first time home buyers to achieve their dreams of buying a residential property. Down payment assistance program assistance in Oklahoma defines first time home buyer as someone who hasn’t owned a property for the last three years. The federal program backed government works with listed lenders to help qualifying residents of Oklahoma raise money towards buying properties to be used as primary residence. Borrowers are advised to check with participating lenders and find out about their eligibility. To benefit from Oklahoma down payment assistance programs, the applicant’s income and credit must be within specific ranges. The applicant must be buying a home for the first time and should meet the eligibility requirements to get a mortgage through a mortgage company or a bank in Oklahoma. The house buyer must be able to provide a low down payment of the home’s sales price especially if applying for FHA financing. s.
Also, the buyer should reside in the purchased house and make it his or her primary residence for a minimum period of five years. Attending a Homebuyer Education Workshop may or may not be mandatory. This is a requirement before you benefit from Oklahoma down payment assistance programs. OHFA 4 Teachers Program OHFA 4 Teachers is exclusive to educators who are first time home buyers. The low interest rate program offers a Oklahoma down payment grant of 3.5 percent of the loan amount. The maximum purchase price is $214,925. 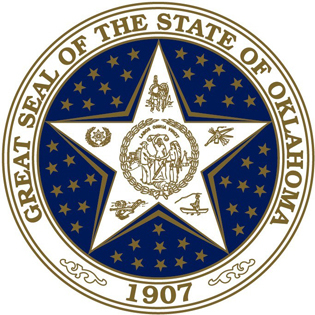 A Oklahoma borrower must have an Oklahoma teachers certificate and be employed at any Oklahoma public school district or accredited private or parochial school. Other employees of the school system whose jobs require certification may also be eligible. OHFA Dream Program While no stringent first time buyer requirement, the Dream Program offers a grant worth 3.5 percent of the loan amount for Oklahoma down payment assistance. The maximum purchase price is $270,975, which is the highest limit of all the OHFA programs. OHFA Gold Program This Oklahoma down payment program has a first time buyer requirement. Similarly to the Dream Program, 3.5 percent of the loan value will be awarded as a Oklahoma down payment assistance grant. The maximum qualifying purchase price is $214,925. Oklahoma housing agencies are your best resource for down payment assistance programs. Through funding from HUD, the purpose of these agencies is to ensure that affordable housing is available for everyone. This entry was posted in Oklahoma and tagged down payment assistance, grants, housing authority, oklahoma, programs. Bookmark the permalink.